As a homeowner, it is essential that you are proactive to protect the quality of your property. There are times when unexpected repairs might be necessary and you will need to act fast to avoid additional damage. In other situations, you should consider investing in upgrades to boost the value of your home. If you live in Skokie, IL and you need window repair for your home or office, Scientific Home Services Ltd is here to help! We have a team of experienced window professionals who can offer the advice and repair services that will best meet your needs. You can rest assured that you are in good hands when you work with our company. As you learn more about Scientific Home Services Ltd, you will notice that we have been in business since 1928. Our family-owned company is always focused on the customer. We are committed to providing the best window repair and installation services in the area. We always go above and beyond to be sure you are completely satisfied with the materials and installation for your project. Do you have questions about window repair and installation? You are always welcome to call our office for more information. We will give you the undivided attention you need to learn more about the options available. We pride ourselves in the low-pressure environment we provide for our customers. When you contact our team, you don’t need to worry about being pushed into a purchase. We will work on your preferred timeline to ensure you’re comfortable every step of the way. Why Do You Need Window Repair Services? Broken Glass: When a window breaks, it is obvious that you should replace the glass as soon as possible. A broken window can let in the inclement weather, bugs, and other pests you don’t want in your home. Windows often break because of impact, such as a ball hitting the glass or a tree falling in the yard and crashing into the home. Cracked Glass: Even though cracked glass might not seem as critical as broken glass, it is important that you don’t delay window repair services. Cracks can weaken the structure of the window, causing your family to be in harm’s way if the glass shatters. Also, a crack in the glass could let in moisture and condensation, leading to mold and water damage if left unattended. Damaged Screens: Check the quality of your window screens. Do you see holes and areas that need to be repaired? Regular wear and tear can have a negative impact on the quality of window screens. Other times, these screens could be damaged by the kids playing or the neighborhood cats climbing on the screen material. Replace the screens before opening the windows when the weather is warm outside. Energy Efficiency Upgrades: It’s not an emergency repair situation if your windows seem to be working fine, but there are situations when you might consider window repair to improve the overall quality of your home. High-quality windows are essential to keeping your home sealed from the harsh weather conditions outside. Installing these energy efficient solutions can help you save money and reduce your carbon footprint. Home Renovations: If you live in an older home, you might be ready to upgrade the features of the home. Many people are interested in maintaining the original style, but they want to have modern features such as double-pane glass or new technology for security. Talk to our team about renovation options and we can cater your window repairs to match your preferences. As you can see, there are many reasons why people call us for window repair. If you suspect that you might need to repair the windows in your home, you should consider the advantages of scheduling an appointment with our team right away. When you call our team at Scientific Home Services Ltd, we will schedule a time to come to your home to inspect the broken window. This inspection, as well as a conversation with you, will allow us to make recommendations to improve the quality of your property. We will consider your individual circumstances and help you choose the right materials and services to meet your needs. 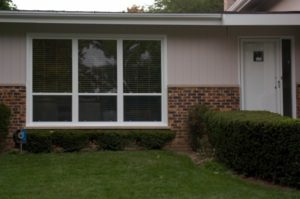 Are you ready for more details about window repair in Skokie, IL? Contact us at Scientific Home Services Ltd. We have a showroom that you can visit at 5639 W Howard St, Niles, IL 60714. Or, you can call to schedule a complimentary in-home estimate: (847) 752-0370.